Cyprus, more officially known as the Republic of Cyprus, is the third-largest island in the Mediterranean Sea and a member of the European Union. It is south of Turkey, southeast of Greece, and north of Egypt. Since 1974, Cyprus has been divided between the Greeks and the Turks, with the Greeks controlling the southern half. 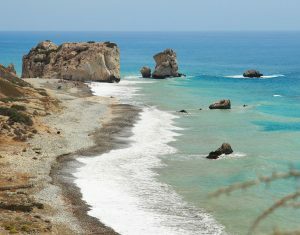 The following are all located on the Greek side and are must-see attractions if this is your first time in Cyprus. According to classical mythology, the goddess Aphrodite was born either on Cyprus or Kythira. She supposedly was born of sea foam. Aphrodite’s Rock, a large rock formation, is the place where she emerged onto dry land to be welcomed by the local deities who brought her to Mt. Olympus. Aphrodite’s Rock is also known as “Petra tou Romiou” (Rock of the Roman). The name refers to the legendary Byzantine hero Dighenis who supposedly defended his lady from pirates by throwing the large rocks at them. Another story claims that the waves rise, break and form a column of water under certain weather conditions. That column then briefly becomes a pillar of foam with a humanoid shape. The Rock is on the west coast of Cyprus near Paphos. Many travelers enjoy visiting both places. Visitors to Aphrodite’s Rock may also go swimming or enjoy a snack at the local cafe. Sometimes spelled Choirokoitia, Khirokitia is one of the best-preserved prehistoric settlements in the eastern Mediterranean area. UNESCO made it a World Heritage Site in 1988 on account of its age and state of preservation. Khirokitia is 3.7 miles (6 km) inland of the island’s south coast. Archaeologists have found evidence that humans began settling on Cyprus around the 10th millennium BC. Khirokitia was established three millennia later, and people lived there until the 4th millennium BC. At its largest, the village covered three hectares or 30,000 square meters. 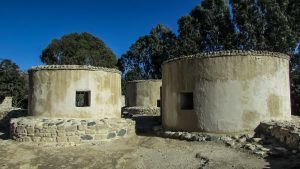 A series of walls protected the village, which consisted of round houses with flat roofs. 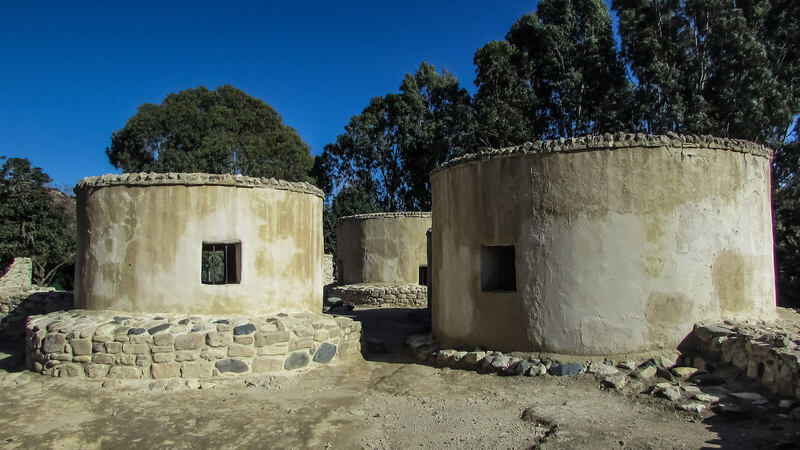 The houses were made of stone and mudbrick. The inhabitants buried their dead in pits beneath the earthen floors. Archaeologists have found artifacts within or near the houses like stone vessels, tools made of bone or flint, figurines, and the remains of animals and plants. Paphos or Pafos Zoo is the largest zoo in Cyprus. It was established by Mr. Christos Christoforou, the proud owner of a large aviary. He originally intended to make it a private zoo, but he changed his mind and decided to open it the public. After three years of work, the Zoo opened in September 20003. The Zoo is best known for its bird collection: 1,000 birds representing around 200 species and 18 orders. While some are native to Cyprus, others come from all over the world. The zoo offers a parrot and owl show several times a day every day. The Paphos Zoo is also home to over 25 species of venomous snakes – one of the most extensive such collections in Europe. It also houses over 40 different mammal species including elephants, giraffes, tigers, meerkats, and nine species of monkeys. The Tombs of the Kings is also a UNESCO World Heritage Site, and it is a large necropolis in the old city of Paphos. The oldest tombs date back to the 3rd century BC, while the newest are from the 3rd century AD. The tombs don’t house any kings; they owe their name to their impressive looks. In fact, the people of Nea Paphos had not had a monarchy since 312 BC, so the tombs were for powerful officials and their families. Although people had known of the tombs’ existence at least as far back as the 19th century, the Department of Antiquities’ archaeologists didn’t start systematically excavating them until 1977. So far, they have found eight underground tomb complexes, and the third is considered the grandest. Many of the tombs have rectangular, open-aired atria cut out of the rock and surrounded by porticoes supported by columns. The graves also have niches for the bodies carved into the walls. The walls may have been decorated with frescoes, but archaeologists have found only a few fragments. 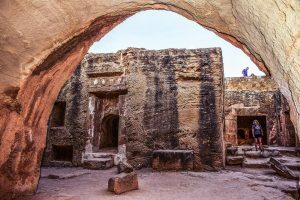 While Egyptian beliefs influenced the construction of the tombs that houses for the dead should resemble those for the living, the architectural styles show Hellenistic influences. The Kykkos Monastery, which is located in the Troodos Mountains in central Cyprus at an elevation of 4324 feet (1318 meters), is one of the largest and most opulent monasteries in Cyprus. It is about 12.4 miles (20 km) west of Pedoulas. It was originally built during the reign of Alexios I Komninos (1056-1118), who was the Byzantine Emperor. Unfortunately, a series of fires destroyed the original monastery, and the current building was completed in 1831. There’s a legend about the construction of the original monastery: A hermit called Esaias or Isaiah lived on what would become the site of the monastery. Manouil Voutomytis, the Byzantine governor of Cyprus, was out hunting and got lost. He asked Esaias for directions, but the hermit had taken a vow of silence and wouldn’t answer. Voutomytis angrily cursed and shoved him. After finding his way back home to Nicosia, Voutomytis fell ill and realized he needed to apologize to Esaias to regain his health. Esaias, meantime, had received a vision from God telling him that Voutomytis needed to go to Constantinople to retrieve an icon of the Virgin Mary that was said to have been painted by St. Luke. Voutomytis visited Emperor Alexios, whose daughter was suffering from the same malady as Voutomytis, and convinced the Emperor that allowing him to take the icon to Cyprus would restore the princess to health. 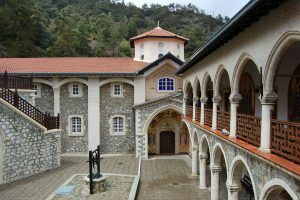 Alexios agreed and ordered the monastery to be built to properly house the icon, which still exists and is now kept in a sealed box made of mother-of-pearl and tortoiseshell. The monastery is also now home to the Monastery Museum that houses a collection of manuscripts, icons, and other antiquities. The tomb of Archbishop Makarios III, who had been Cyprus’ first President, is on the monastery grounds. Located on the west coast of Cyprus, the Akamas Peninsula National Park covers 88.8 square miles (230 square kilometers) of land that includes gorges, valleys and bays. The European Council added it to its Mediterranean Protection Programme because of its high biodiversity. Twelve mammal species, 16 butterfly species, 20 reptile species, and 168 bird species all make their home in the Park. Akamas Peninsula National Park has many nature trails. The Blue Lagoon is one of the Park’s more popular attractions on account of its water being so clear that a visitor can see all the way to the bottom. Many visitors go snorkeling or take tours in glass-bottom boats. Lara Beach is a breeding ground for Hawksbill and Green Turtles, both of which are endangered sea turtle species. People can visit and swim – but they will need a vehicle with a four-wheel drive to reach the beach. The Baths of Aphrodite, which is a starting point for a couple of the nature trails, is a cavern with a pool. Legend holds that the goddess Aphrodite liked to bathe here. It is also said that she met her lover Adonis at the Baths. Another myth claims that the waters can restore a bather’s youth. Unfortunately, swimming in the Baths is no longer permitted. Limassol Castle is located in the town of the same name, and is near the harbor. It has fascinated archaeologists for years because it was built on top of even older structures. The first part of the castle was built by Guy de Lusignan (~1150-1194) in 1193. Underneath it, archaeologists have found the remains of a Christian basilica that was built sometime between the 4th and 7th centuries, a Byzantine monument erected in the 10th or 11th centuries, and what might have been a church or cathedral. The castle was damaged over the centuries by both invaders and earthquakes. In the late 1560s, the Venetian governor of Cyprus decided to destroy the castle rather than let it fall into enemy hands. The Ottoman Empire, however, conquered Cyprus in 1576, well before the demolition had been completed. Fourteen years later, they began to rebuild Limassol Castle. 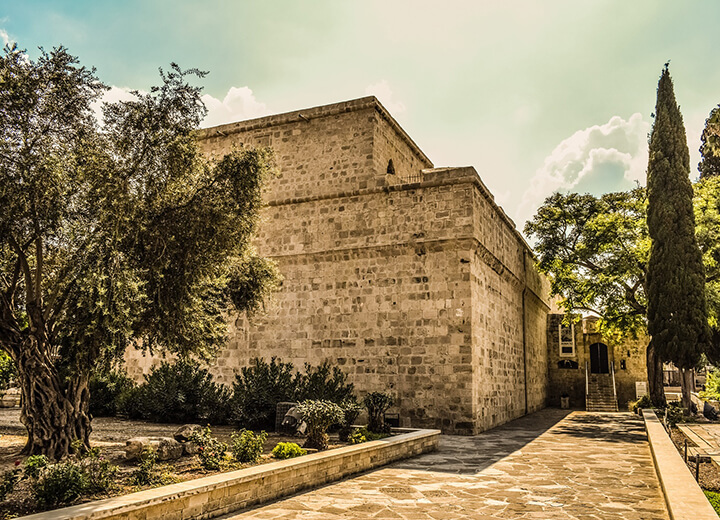 The various rulers of Cyprus used the first floor and underground area as prisons until 1950. The Department of Antiquities gained control of Limassol Castle and used it to house the Cyprus Medieval Museum, which is still there. Limassol Castle thus contains exhibits like medieval pottery, weapons, coins, crosses, tombstones, and silver plates. Located off the coast of Lanarka, the shipwreck Zenobia is considered one of the best dive sites in Cyprus. The Zenobia was a Swedish ferry that was traveling to Syria on its maiden voyage. The captain had decided to make for Lanarka Harbor after one of the crew reported that the steering was malfunctioning. Engineers then reported that a glitch in the computer system was causing excess water to be pumped into the ship’s ballast tanks. Despite the crew’s efforts, the ship continued to list, and it was eventually towed out to sea because the harbor authorities feared it would obstruct traffic if it sank in the harbor. The Zenobia capsized and sank on June 7, 1980, about .93 miles (1500 meters) from shore. It now lies on the seafloor at a depth of 138 feet (42 meters). 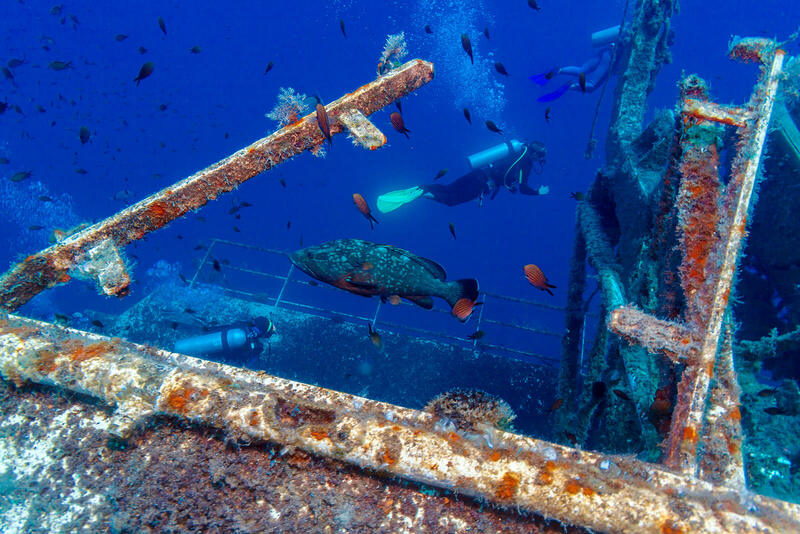 The Zenobia acts as an artificial reef, so it attracts a lot of fish of many different species. Another attraction for divers it that its location makes it relatively easy to reach. Divers of skill levels ranging from novice to expert can safely explore the wreckage. 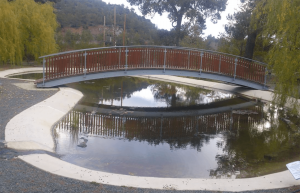 The Troodos Botanical Garden, which was established in 2010, is one of the newer attractions in Cyprus. It is located near Troodos Geopark and an abandoned asbestos mine in Troodos National Forest Park. The Cypriot government has been working to restore the environment around the mine, and the Troodos Botanical Garden is part of that project. The Garden is divided into several smaller gardens, each with a theme: Endemic Plants, Traditional Garden Plants, Riverine Vegetation, and so forth. While some of the plant species are common, others are rare and endangered. Other exhibits at the Garden include a photographic history of the asbestos mine, a documentary about the plants of the Troodos mountains, a database of Cypriot plants, and a display showing the vertical distributions of plants on the mountains. The Fasouri Watermania Waterpark, which first opened in 1999, is a ten-minute drive from Limassol. With roughly 25 acres (100,000 square meters) of land, Fasouri Watermania is the largest waterpark in Cyprus. The water park boasts several types of waterslides, swimming pools, and paddle boats. Some of the attractions are just for kids, while others are for the whole family. There’s also an artificial river where visitors can ride rafts or inner tubes. Other facilities include a spa, souvenir shop, and a temporary tattoo shop. There are several kiosks that sell different types of snacks and drinks, as well as restaurants that provide more substantial fare like pizza, grilled food, and sandwiches. The Waterpark is only open during the warmer months. This year, it will be open from April 29 to October 30. The park does close during inclement weather.